Fossil Beach - Unique gifts and corporate services. Fossils are the impressions left in the rock from the remains of extinct, prehistoric plants and animals that lived many millions of years ago. These creatures included the dinosaurs, but there were also many other types of animal that lived in those times, particularly in the seas around the coast of an island that is now called Great Britain. At FOSSIL BEACH you can find out how fossils were made, buy genuine fossils, and look for fossils in our Fossil Beach Game. 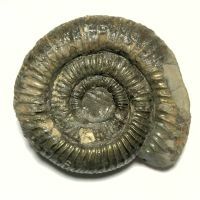 Visit the Fossil Beach website to find out more about fossils and fossil hunting.